A West Yorkshire businessman is master-minding his multi-million international company from his garden - thanks to a bespoke Garden Room in Halifax. Nick Wright and his wife Paula run Resdev Ltd, which makes and installs high-spec industrial resin flooring for pharmaceutical and food companies through to car park decks from its base on Ainleys Industrial Estate, Elland. 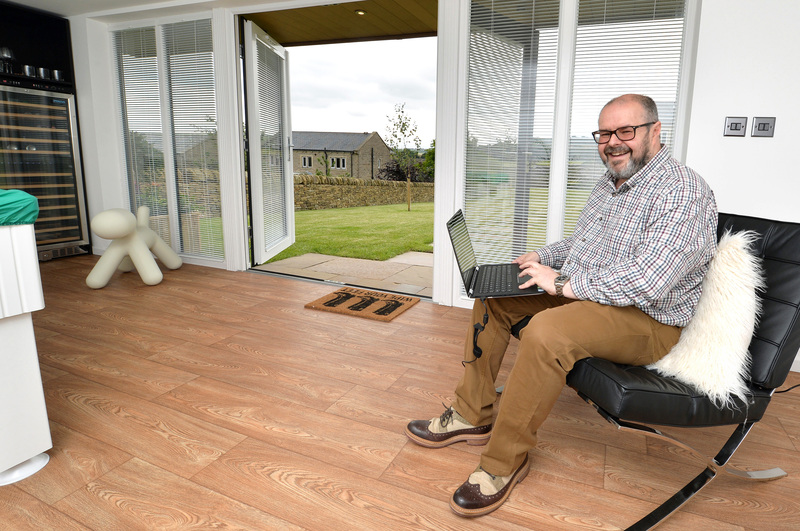 His luxury five-bedroomed home in Barkisland now sports a fully-equipped Garden Office, built by Rubicon Garden Rooms, which means Nick can now broker international deals while spending time with his family. 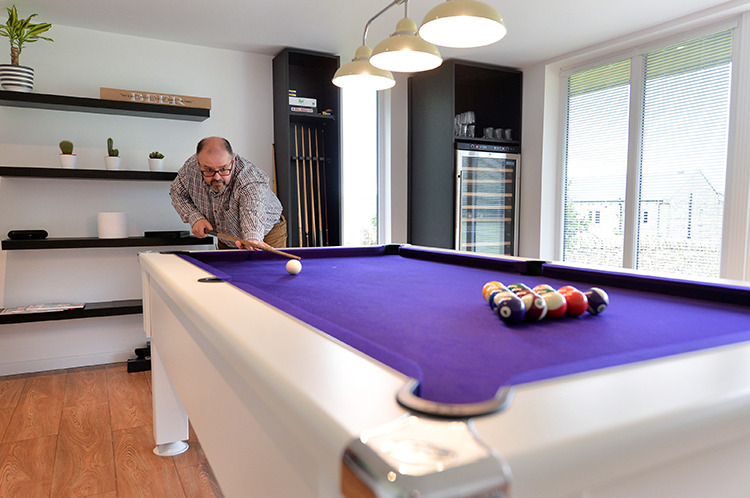 The bespoke Home Office doubles up as a family den, with a pool table for his teenage son Harry and daughter Fiona, 12, plus a comfy sofa for Paula to catch-up on reading, and a wine cooler for parties to enjoy the wonderful views across the countryside. The new building was made by Rubicon Garden Rooms - founder John Lyon was inspired by his 20 years as an engineer at plane manufacturer Airbus to develop a zero-maintenance wood fibre composite material. Rubicon’s bespoke top-of-the-range units are now used for everything from Home Offices to Art Studios or Music Rooms, Yoga Studios, Teenage Dens and Granny Annexes for dependent relatives. “Having this Rubicon Garden Room just gives us a bit extra space and lets me get away from the house when I need to. The 30m2 building has double doors and two windows, fully integrated broadband and phone networks wired in to the framework, a security system, heating, sound proofing, insulation and top of the range lighting systems – all controlled at the touch of a button. 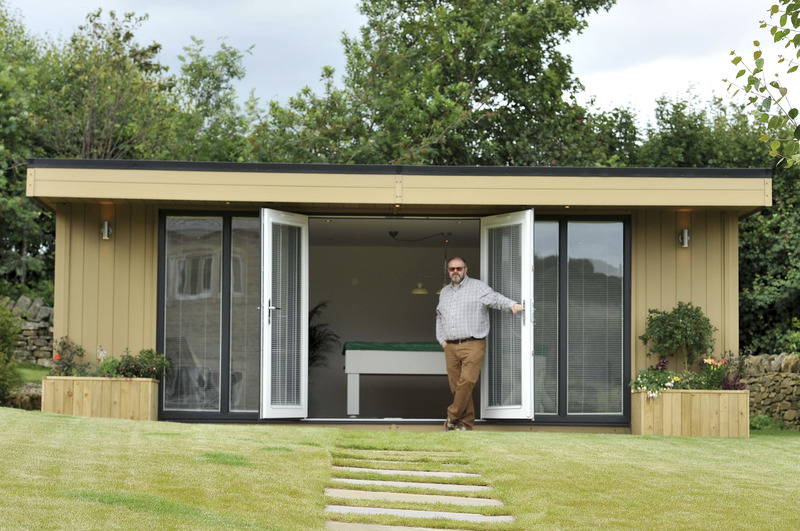 It is one of the company’s most popular formats for a Garden Office, said Rubicon managing director John Lyon. He added: “There is an increasing rise in the number of business people who want to work from home part of the time - whether they run their own company, such as Nick, or work for somebody else. Rubicon Garden Rooms has more than 10 years of experience in the building industry, and specialises in the manufacture and installation of Garden Buildings to create Home Offices, Granny Annexes for older relatives and teenagers, Music Studios, and Leisure Buildings.